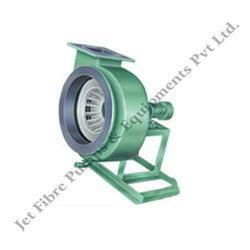 Manufacturer of a wide range of products which include pp frp blower. The PP FRP Blower that we offer are unmatched in quality and performance. These are designed and manufactured at par with the international standards using quality raw materials. Our range is durable, reliable, and resistant to corrosion and abrasion. These are also offered in customized specifications as per the specific requirements of our esteemed clients. Impeller Size: 12", 15", 18", 21", 24"
Looking for PPFRP Blowers ?